Following the release of his highly anticipated album, Pressure, multiplatinum-certified rapper, Jeezy, is teaming up with TIDAL for an exclusive livestreamed pop-up show in Atlanta on December 20. TIDAL X: Jeezy will feature performances from the Atlanta native’s new album, as well as a Q&A with Elliott Wilson, TIDAL’s Editorial Director of Culture & Content. 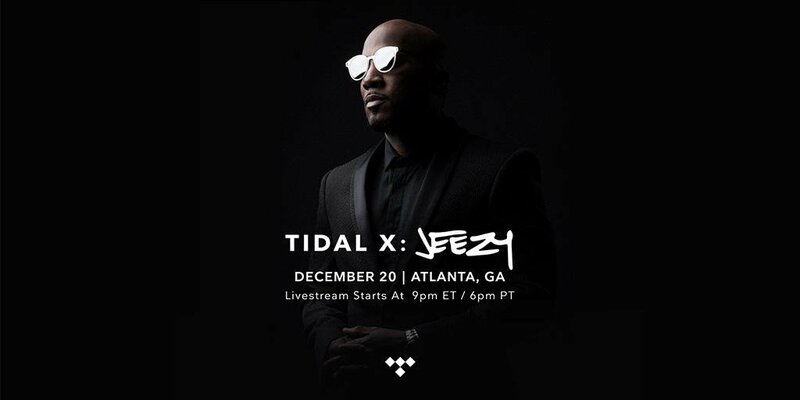 For those unable to attend, fans can still watch Jeezy’s hard-hitting performance via the TIDAL livestream here: TIDAL.com/Jeezy.